According to data compiled by the Mine Safety and Health Administration (MSHA), part of the US Department of Labor, 25 miners died in work-related accidents in 2016 against 29 in 2015. This is the lowest number of mining deaths ever recorded in the country and only the second year that mining deaths dropped below 30. Sixteen of the 25 fatalities were reported in metal/non-metal mines — two in Mississippi and Texas, and one each in Arizona, Arkansas, Florida, Georgia, Iowa, Kentucky, Michigan, Nevada, North Carolina, Tennessee, Utah, and Virginia. The leading causes of the fatalities were machinery accidents (four) and powered haulage (three). None of the 16 deaths occurred in underground mining operations. In 2015, 17 metal/non-metal miners died. The remaining nine fatalities occurred in coal mines — four in West Virginia, two in Kentucky, and one each in Alabama, Illinois, and Pennsylvania. The leading causes of death were powered haulage and machinery, which accounted for six of the deaths. In 2015, there were 12 coal mining deaths. Joseph A. Main, Assistant Secretary of Labor for Mine Safety and Health, credited the agency’s use of strategic enforcement tools, including targeted impact inspections that address problem mines, pattern of violations regulation for chronic violators, special initiatives aimed at preventing common deaths, compliance assistance, training, and outreach, along with improved compliance by the mining industry. 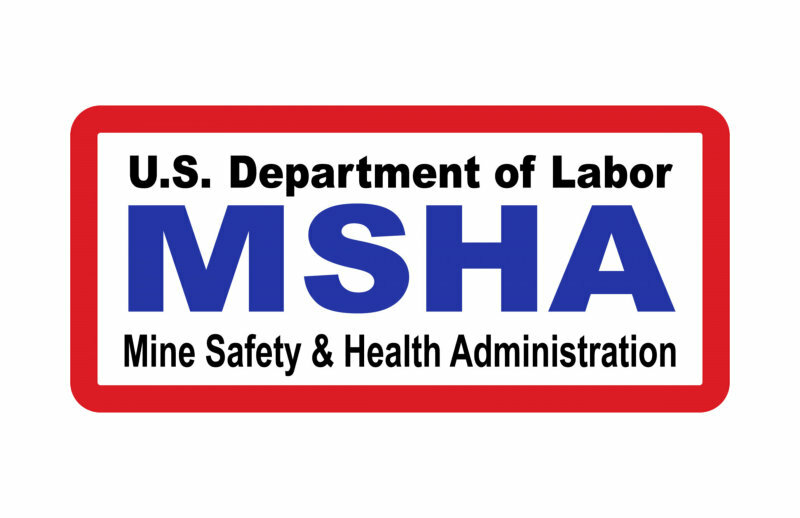 “While these deaths show that more needs to be done to protect our nation’s miners, we have reached a new era in mine safety in the past few years,” Main said in an MSHA press release. “Each year since 2009, injury rates have dropped, and the number of mining deaths and fatality rates were less than in all prior years in history except in 2010, when the Upper Big Branch mine disaster occurred. We have created a new roadmap to protect our nation’s miners. MSHA has encouraged mine operators to put effective safety and health programs in place that address specific conditions and hazards; conduct thorough examinations of the workplace to assure that conditions and hazards leading to deaths and injuries are identified and fixed before they pose a danger to miners; and properly train miners on hazards and conditions that could cause injury, illness, or death as they perform their duties. Employment has been in long term decline in the mining sector over the last few decades. Total employment was 317,369 in 2015, the latest year for which figures are available. This compares with 327,204 in 2010, 421,617 in 2005, 439,159 in 2000, 388,689 in 1995, 410,869 in 1990, 378,876 in 1985 and 459,717 in 1980. The 2015 total comprises 47,794 in underground coal mines, 50,711 in surface coal mines and facilities, 22,731 in metal and non-metal underground mines and 196,133 in MNM surface mines and facilities. In the first eight months of 2017 the MSHA recorded 18 fatalities, 7 in metal and non-metal mines and 11 in coal mines.